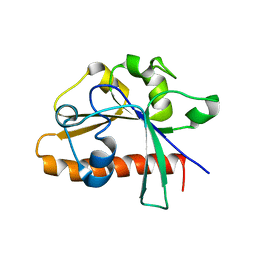 Authors: Chen, H., Liu, X., Patel, D.J. 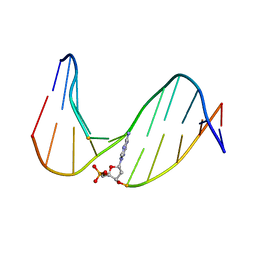 Cite: DNA Bending and Unwinding Associated with Actinomycin D Antibiotics Bound to Partially Overlapping Sites on DNA. 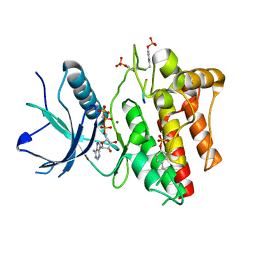 Authors: Chen, H., Mohammadi, M.
Cite: A molecular brake in the kinase hinge region regulates the activity of receptor tyrosine kinases. 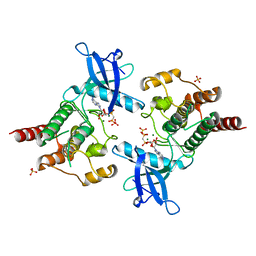 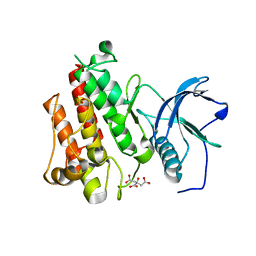 CRYSTAL STRUCTURE OF FGF RECEPTOR 2 (FGFR2) KINASE DOMAIN HARBORING THE PATHOGENIC K659N MUTATION RESPONSIBLE FOR AN UNCLASSIFIED CRANIOSYNOSTOSIS SYNDROME. 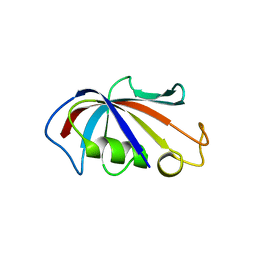 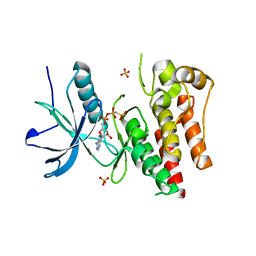 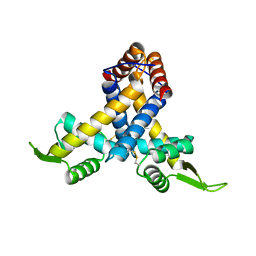 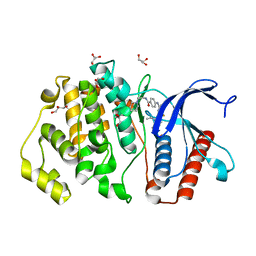 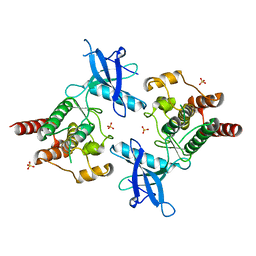 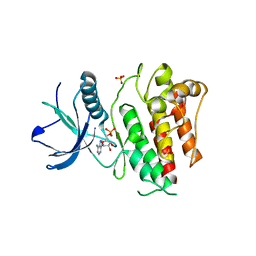 CRYSTAL STRUCTURE OF FGF RECEPTOR 2 (FGFR2) KINASE DOMAIN HARBORING THE PATHOGENIC N549H MUTATION RESPONSIBLE FOR CROUZON SYNDROME. 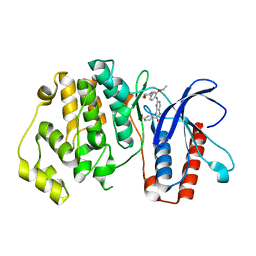 Authors: Chen, H., Tong, S.L., Teng, M.K., Niu, L.W. 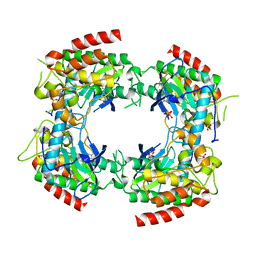 Authors: Chen, H., Yi, C., Zhang, J., Zhang, W., Yang, C.-G., He, C.
Authors: Chen, H., Shi, N., Gao, Y., Li, X., Niu, L., Teng, M.
Cite: Crystallographic analysis of the conserved C-terminal domain of transcription factor Cdc73 from Saccharomyces cerevisiae reveals a GTPase-like fold. 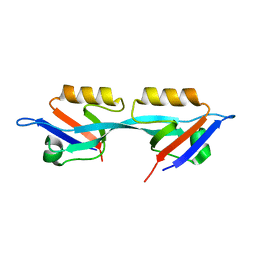 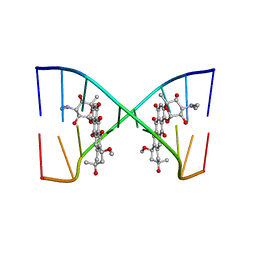 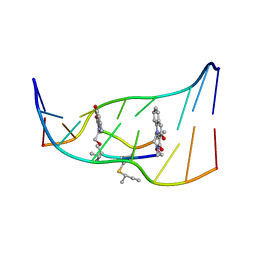 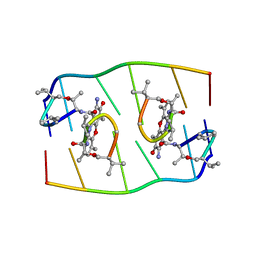 CRYSTAL STRUCTURE OF FGF RECEPTOR 2 (FGFR2) KINASE DOMAIN HARBORING THE PATHOGENIC K659N MUTATION RESPONSIBLE FOR AN UNCLASSIFIED CRANIOSYNOSTOSIS SYNDROME IN SPACE GROUP C2. Cite: Cracking the Molecular Origin of Intrinsic Tyrosine Kinase Activity through Analysis of Pathogenic Gain-of-Function Mutations. CRYSTAL STRUCTURE OF FGF RECEPTOR 2 (FGFR2) KINASE DOMAIN HARBORING THE PATHOGENIC GAIN-OF-FUNCTION K659M MUTATION IDENTIFIED IN CERVICAL CANCER. 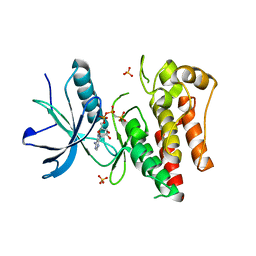 CRYSTAL STRUCTURE OF FGF RECEPTOR 2 (FGFR2) KINASE DOMAIN HARBORING THE PATHOGENIC GAIN-OF-FUNCTION K659E MUTATION IDENTIFIED IN ENDOMETRIAL CANCER. 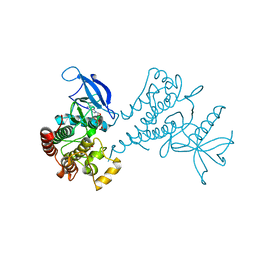 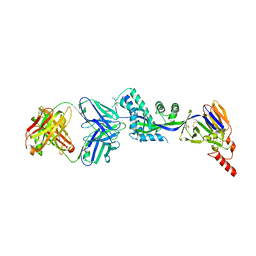 CRYSTAL STRUCTURE OF FGF RECEPTOR 2 (FGFR2) KINASE DOMAIN HARBORING THE GAIN-OF-FUNCTION K659T MUTATION. 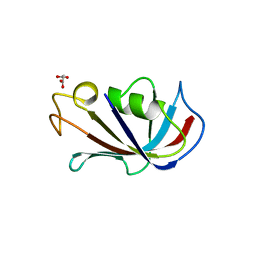 Authors: Chen, H., Tucker, J., Wang, X., Gavine, P.R., Philips, C., Augustin, M.A., Schreiner, P., Steinbacher, S., Preston, M., Ogg, D.
Cite: Discovery of a novel allosteric inhibitor-binding site in ERK5: comparison with the canonical kinase hinge ATP-binding site.